The Flowfon XS has GOOD IMAGE QUALITY because of the resolution of this unit is 1280 x 768, the brightness is 3500 lumens, the contrast ratio is 3000: 1, the projector displays extremely high brightness and superior image quality, giving you a better visual experience. With +15 degree manual keystone correction, combined with focus. it is easy to get high definition images. ENJOY 3D HOME THEATER – The projector brings you a huge screen home theater experience, it supports red and blue 3D movies, giving you an impressive 3D effect, so you can enjoy red and blue 3D movies at home. 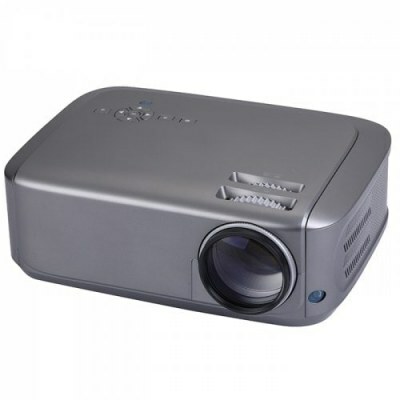 The Flowfon XS Projector is equipped with a variety of interfaces, including TV/AV/VGA/USB Port /HDMI interface, can be connected to a variety of devices such as computer, tablet, smart phone, TV, speaker, etc. NOT ONLY WATCH MOVIES – It is not only designed for watching movies, but also for you and your family and friends to enjoy games, sports, performances, pictures indoors or outdoors. SHOCKING SOUND EXPERIENCE – With professional built-in speakers, high-fidelity sound quality you can also bring better gaming, movie and music sound experience without connecting external speakers.